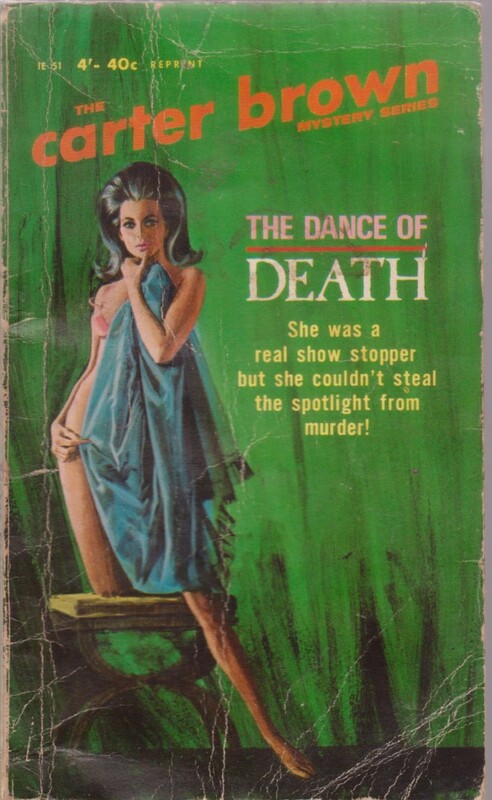 The pulp fiction novels written by Alan Yates under his Carter Brown pen-name. Australian and US editions, from rare and collectable vintage copies, to more recent reading copies. 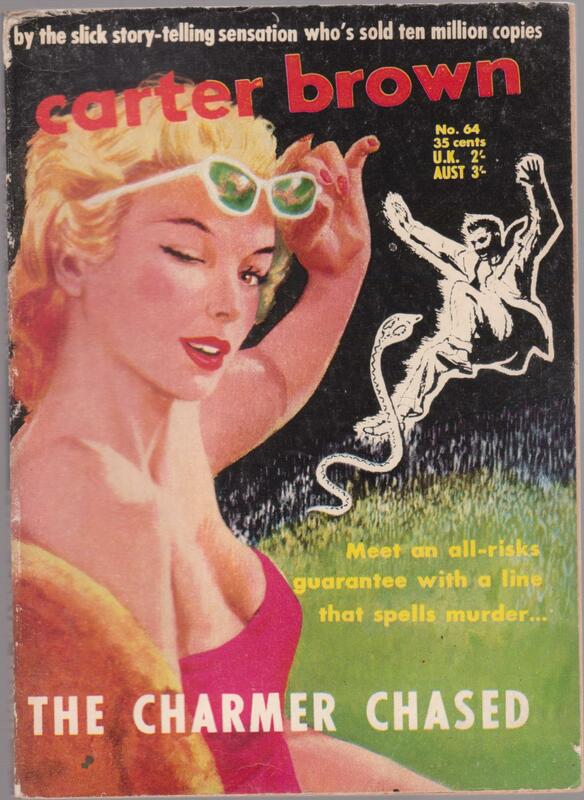 Carter Brown ( also Peter Carter-Brown) was the pen-name of Alan Geoffrey Yates, an English-born writer of detective fiction. In his autobiography he claims to have jumped ship from the Royal Navy to start a new life in Australia. His books, published by Horwitz and Signet, were set in the United States and published throughout the English-speaking nations. Yates chose American settings because Australians preferred them. The novels were popular in Europe and were translated into French, Danish, Norwegian, Swedish, Russian, Finnish, German, Portuguese, Romanian, Dutch. 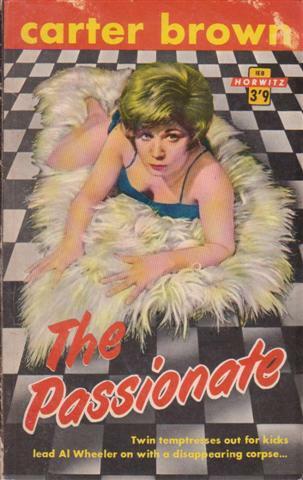 Prominent for their "cheesecake" and suggestive covers, and catchy titles. 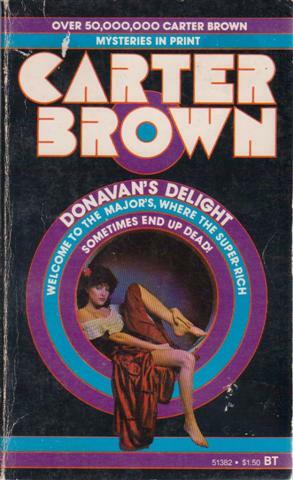 The printings of these paperbacks exceeded 120 million copies, with 322 published Carter Brown novels, including multiple series featuring protagonists Mike Farrell, Andy Kane, Mavis Seidlitz, Lt. Al Wheeler, Rick Holman, Danny Boyd, Larry Baker, Zelda Roxanne, etc. Ready When You Are, C.B.! 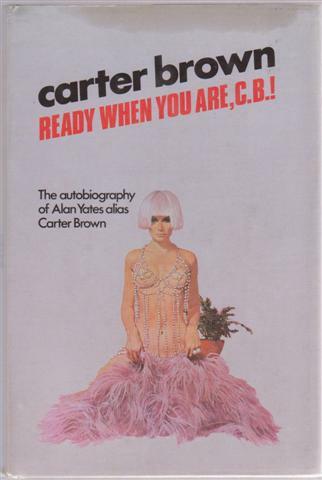 The autobiography of Alan Yates alias Carter Brown. Autobiography of one of Australia's most prolific writers and a legend in the 'hardboiled' genre. King of the pulps. Includes full page colour plates of some of the paperback cover art. VG hardback in VG dust jacket with light grease mark to top edge of front panel, small pen X to fep, minor chip to spine tail. Horwitz IE 15. A Danny Boyd story. Second edition. Horwitz No 114 First edition. G+ paperback, minor wear and handling soiling, one page has small archivally repaired tear. Horwitz IE 46. A Larry Baker story. Second edition. Horwitz No 104 A Rick Holman story. First edition. Belmont Tower 51382. Photo cover. G paperback in soiled wrappers with reading creases to cover and spine. 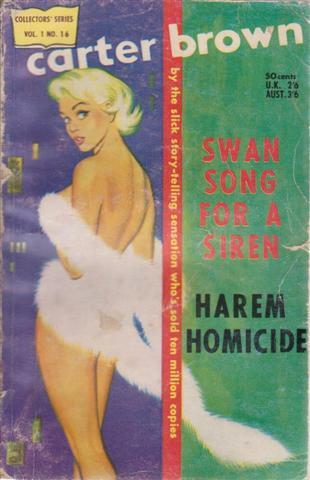 VG- paperback with pencil name to cover and some soiling or paper browning. VG- paperback, first (blurb) page has a tear. Horwitz No.144. Al Wheeler mystery. Signet Books D3345. 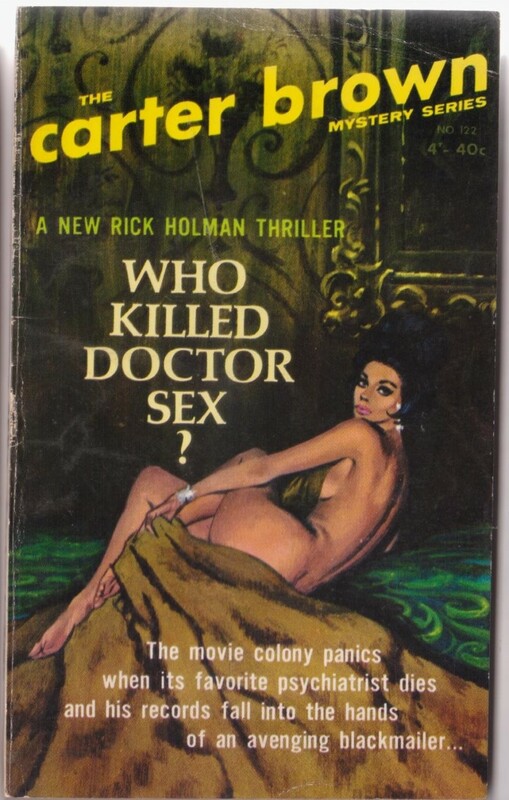 Rick Holman thriller. VG softback with light rubbing to spine, light creasing to wrappers, aged paper stock, stapled sheets in pictorial wrapper. Horwitz No 34. Third edition. VG paperback, spine roll, mild rubbing or creasing.